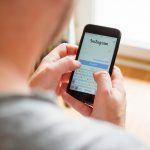 When you post content on your Instagram, not only are you hoping that your followers enjoy your content, but you are most likely trying to acquire more followers and thus more potential customers. One of the best ways to gain more followers on Instagram is by using hashtags. Hashtags are used by users to search for photos and videos pertaining to certain words. For example, someone who is interested in plastic surgery might search for #plasticsurgery on Instagram. Using the right hashtags can help more people see your posts and result in more followers. Find out how to take your hashtagging to the next level. When it comes to hashtags, there are several different types out there that you can use. First, on the types of hashtags are branded hashtags. Branded hashtags are hashtags that are unique to your brand. These are hashtags you create yourself to brand each of your photos or to have your followers engage with you on their own relevant posts. We recommend using at least a few of your own personal branded hashtags in each of your posts. Make your branded hashtags known by using them in your captions instead of hidden in the comments. Another way to engage with your followers and potential customers is by using community hashtags on your posts. By using community hashtags, you can engage with people in your own city. This can help those considering plastic surgery in your city find you. We recommend doing this by searching your city in the search bar to see what the most popular hashtags for your city are. You can also search on your city’s hashtag to see which related hashtags popup. This will give you an idea of what hashtags people in your city are using the most. 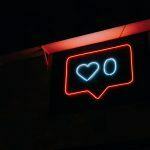 While branded and community hashtags are something you can use year-round, campaign hashtags are typically only used for the duration of your campaign. If you have a special going on in your plastic surgery office or something else you want to promote. When it comes to people finding your content on Instagram, using relevant hashtags is one of the best ways to go. This is where you hashtag anything that is relevant to your photo. Of course, we recommend going to the search bar and finding the top most used hashtags for that subject. Not only should you gather hashtags from the above categories, but you should also do a bit of research on what your audience likes to look at, what your competitors use, what’s trending and what industry leaders are using. Try to gather a handful of hashtags from each category so you have a stockpile to use for later. 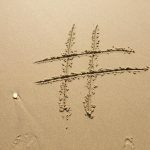 Now that you know about the different categories of hashtags, it’s time to collect all of your hashtag research and put it into an organized spreadsheet. On the spreadsheet, try to put down at least 10 hashtags for each category. Create one for the community, your brand, trending hashtags, competitor hashtags, industry leader hashtags and then create a category for each different subject you plan on posting about. We recommend researching hashtags for each procedure you do. Lastly, we recommend creating a general category that is all plastic surgery related. Once your spreadsheet is organized, it’s ready for you to grab hashtags for every post. The last thing you need to know about hashtags is how many to use and where to put them. First, you are allowed to use up to 30 hashtags per post. We recommend using branded hashtags in your caption and then putting the rest with a bit of separation. Do this by putting space between your caption and then the bulk of hashtags. You can press period and enter multiple times to create space between your caption and hashtags. You can also just put your hashtags in the comment section if you prefer. Now that you know where to place your hashtags, it’s a matter of which ones you should use. We recommend using a few hashtags from each different category if it’s relevant to your post. Feel free to use as many as 30 to be seen by as many users as possible. Now that you’re an expert in hashtagging, you might need a bit more advice. Give our team at Practice Affiliate a call today or fill out our online form to learn more about Instagram marketing and how to increase your business.